Yogacharya BKS Iyengar always felt that a correlation must exist between the modern medical science and the art of yoga. This book written at his behest by Dr Sulochana D. Telang is the first attempt of it's kind to establish a link between the yogic and modern medical sciences. It is hoped that not only the students of yoga, but also the modern medical practicioners will find the book useful in their daily practice. The Woman's Book of Yoga and Health by Patricia Walden is the first comprehensive book about women's health issues and how to treat them with yoga. 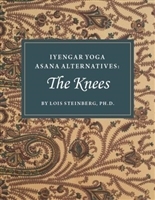 The authors offer a complete yoga program for general health as well as pose sequences that address specific health problems—all in the Iyengar tradition, which targets health needs more than other forms of yoga. For example, in the first part of the book, Patricia Walden has organized three chapters showing yoga poses with clear instructions that tell how to get into each pose and describe its benefits: chapter one is the Essential Sequence for all women, and includes modifications for people who cannot or should not do all the poses; chapter two is the Restorative Sequence for stress relief and relaxation; chapter three contains advanced poses that energize and tone. ligaments and joints of the arms, legs and trunk. 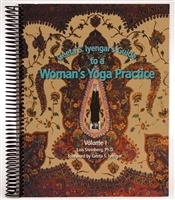 "Geeta's Guide" is a spiral bound text with 850 photos on how to practice Iyengar Yoga with a focus on the menstrual cycle. This book reveals some aspects of Iyengar Yoga methodology, including how to support poses for a specific purpose. The majority of the photos are shown with standard Iyengar Yoga props, making this a useful reference guide. Additionally, a few poses amongst the chapters of this volume show examples of how to use typical household furniture as props to achieve the desired shape and effect of an asana or for pranayama practice. Softcover, spiralbound, 350 pages, 11.5" x 9".